Losing a loved one is a heartbreaking and traumatizing event. Losing a child who had their whole lives ahead of them only amplifies that pain and emotional torment. A recent case proves to be a devastating example. A 13-year-old snuck out of her home in Boynton Beach to visit her boyfriend. The young girl took a Lyft to get to her boyfriend’s house, even though Lyft prohibits minors from riding alone. Later on, the boyfriend decided to drive the girl back home. This was the unfortunate decision leading up to the young girl’s tragic passing. The boyfriend, who did not have a driver’s license, overcorrected and swerved his vehicle, sending it up the center median and ultimately colliding with a tree. The young girl died. The boyfriend escape with only minor injuries, according to the Miami Herald. Investigators determined that the boyfriend will not be charged with vehicular homicide, but may face other criminal charges. This is an awful and tragic incident. If only the boyfriend had exercised caution and not decided to get behind the wheel without a license, maybe this tragic wreck could have been avoided. 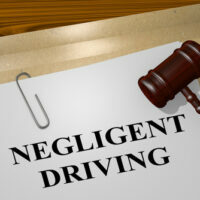 If you lost a loved one in a car accident that could have been avoided if not for the reckless or careless decisions of another driver, you may be able to hold the at-fault driver accountable through a wrongful death claim. Under Florida law, a wrongful death occurs when someone’s negligence or recklessness causes the death of another person. You may be asking yourself, “what exactly is negligence?” Negligence refers to someone failing to behave as a reasonably prudent person would have behaved under similar circumstances. In order to obtain monetary damages from a wrongful death claim, your lawyer must establish that the defendant owed a duty of care to your loved one, their breach of that duty proximately caused your loved one’s death, and you suffered damages as a result (including emotional damages). The parent of a deceased child can pursue monetary compensation for the mental anguish and emotional turmoil caused by your child’s passing. If you lost a spouse, you can pursue monetary compensation for the loss of your spouse’s companionship, protection, and support. You can also pursue a recovery of the income that would have been earned by your spouse, including reasonable future wages, along with compensation for pain and suffering. In addition to the economic and non-economic damages described above, a court may order a defendant to pay punitive damages. This is a form of damages not intended to make the plaintiff whole. Instead, they are damages meant to send a signal to the defendant that their conduct was unacceptable and will be punished accordingly. However, punitive damages are only recoverable in limited circumstances where there is clear evidence that the defendant engaged in grossly negligent or particularly egregious conduct. If you lost a loved one, you are probably dealing with tremendous emotional pain and anxiety. The attorneys at the Miami office of Alan Goldfarb, P.A. are here to help. Contact our office today for a free, confidential case review.